Globalisation is responsible for changing how the technological world functions all the time. Some years ago no one would have guessed, but Singapore, with its small extension, is now a very important and promising land for data centers. It may be the future for this industry, and we are about to clarify why. When it comes to the industry of data centers, Singapore has been a common choice for many companies, leading the market with more than half of the market in the region. That’s especially impressive when one takes into account that it’s a recent industry at that location, and the limited space Singapore has to offer this kind of service. Many multinational companies are picking this location to host their data, as the demand for cloud services has been increasing within the past few years. Looking from a global perspective, it’s hard to imagine that such a small location could be capable of bearing such an impressive number of clients, offering a quality service. Knowing that, but definitely decided to not give up on the investment, a great deal of effort and money was put into being efficient. New technologies are developed and applied, using a minimal portion of the land and keeping their efficiency. Most important, the government of Singapore has been actively investing in green technology, which has environmental benefits and attracts more investors and clients. A sustainable vision considers the optimization of space, at the same time saving resources, and that’s very important to many people considering to buy data centers. Uptime is a very important aspect of data centers. It’s not efficient to save space and resources, if it’s not possible to keep them online. Fortunately, that’s an aspect taken into account in Singapore. Its power supply is a reliable one, based on a strong infrastructure, with companies that are supported in assuring distribution and allocation of power where it’s necessary. The use of sustainable technologies allow the renewal of energy. So, although data centers are known for using a great deal of energy, all that demand is supplied by following strict guidelines regarding sustainability. There are many important features, mostly unknown by the majority of people, but certainly taken into account by investors, that are found within the infrastructure of the Singapore Data Centers. For instance, motion-activated LED lights avoid the consumption of energy without need. They are only activated once motion is identified. Fans may be electronically commutated, with a system that reduces both speed and power consumption, whenever it’s applicable. Cooling is done more efficiently with specific technology, using water just as much as necessary. There is even a Green Mark scheme that ensures, through rigid surveillance, energy and water efficiency, sustainable management and construction and the importance of quality indoor, which results in a better working environment. Cable systems are installed underwater, providing incredible power of bandwidth capacity. The majority of businesses demand speed and real time operations, so this is a point very important for those who choose the data centers in Singapore. The network is not only efficient, but also low-cost and with a connectivity that has a low rate of latency. This is particularly attractive in this market, making companies even change their headquarters, not only their data, to such an economic and efficient place. All these special features are possible especially due to governmental effort. It’s politically stable and offers open licenses to companies who want to invest there. The government is specially dedicating many actions and laws to allow further improvement, opening new zones for the establishment of data centers just as efficient as the existing ones. Money is flowing endlessly through this market and everything else within this financial hub, making it a good option. Important markets, such as those of the countries Australia, Japan and South Korea, are relatively close to Singapore. The small island has the convenience of being next to these giants, offering yet another reason for companies to use their data centers. The cloud services are increasing in the region, combining the presence of demand with everything Singapore has to offer. Huge companies such as Facebook have already decided it’s a good option to choose Singapore. The company is building its own data center in the region. To follow the standard that is being applied there, it’ll be fully supplied by sustainable aspects. It will use renewable energy and feature a new technology, named StatePoint Liquid Cooling System, all directed towards efficiency and sustainability. Within a few years, Facebook important data such as photos and videos from its users will be hosted there. The reasons for such a big company to choose Singapore over other sites were a strong infrastructure, fibre connectivity, an environment friendly to a big variety of businesses and the talent found locally. Google is already building its third data center in Singapore, because of the ever-growing consumption of online content in Southeast Asia. The huge investment wouldn’t be done by such a big company if it wasn’t a good move. The Google Cloud Platform is the main reason the giant decided to build more data centers in Singapore. It’s increasingly growing and should be located at a place where it could be efficient. 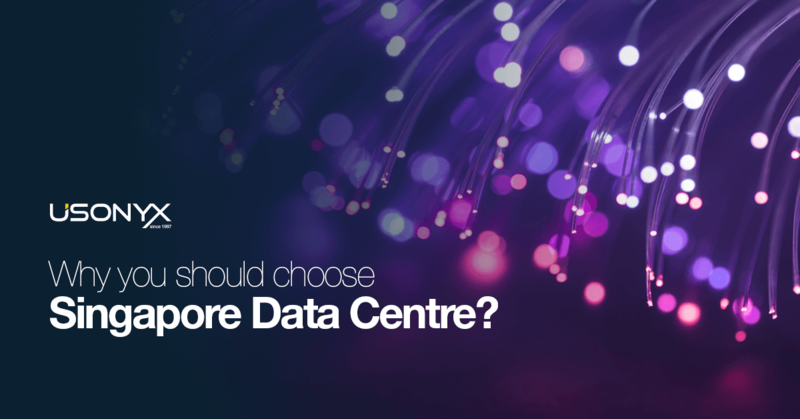 Take a breath and decide which company operating in Singapore with data center is the one for you. There are enough reasons for anyone looking for a good investment to consider the data center in Singapore. Not doing so, at least comparing with other great centers in the market, would make no sense. Choose one wisely and watch your business prosper.